"Unable to start the program because it d3dx9_43.dll is missing on your computer. Try reinstalling the program to fix this problem". Note : Some people get this error message in trying to run the game Limbo. 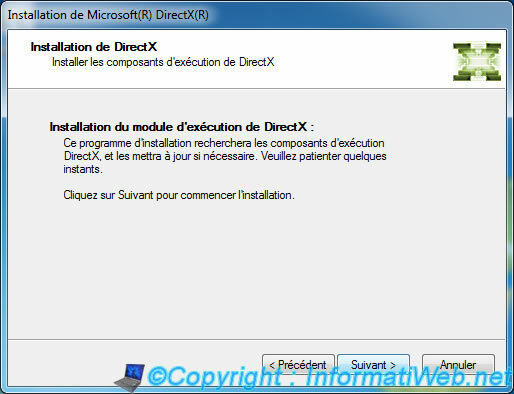 This error message appears because DirectX 9.0c (June 2010) is not installed on your computer. 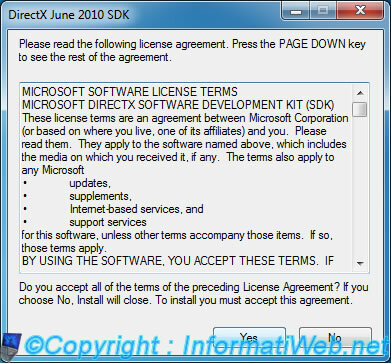 To resolve this issue, download "DirectX 9 End-User Runtimes (June 2010)" on the official Microsoft website. 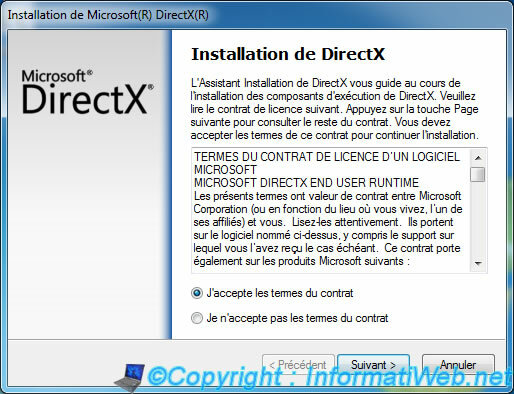 Then run the "directx_Jun2010_redist.exe" file you just downloaded and click "Yes" to accept the user agreement. 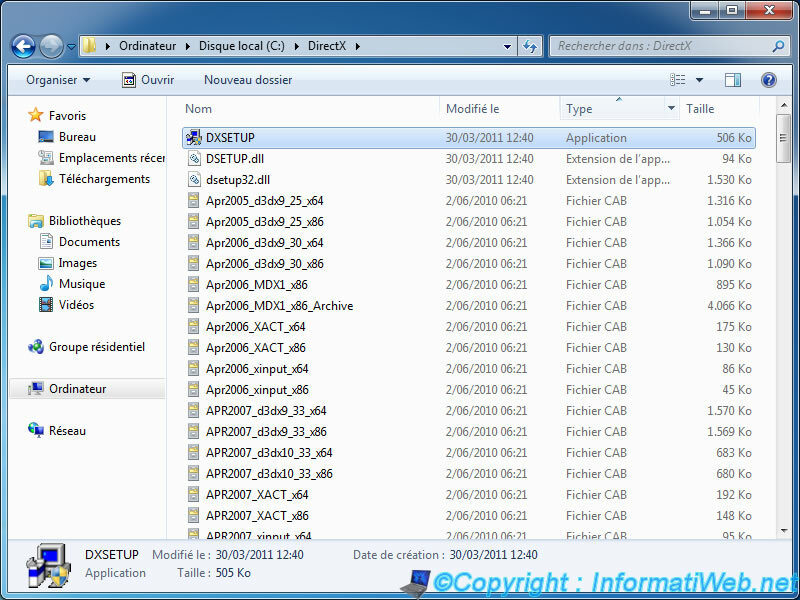 Select a folder to extract the installation files. For example: "C: \ DirectX". The Wizard will now extract the installation files. Warning: These files are just extracted but it will start the installation after this is done. Now go to the folder where you extracted the installation files and click on the "Type" column to find the "DXSETUP.exe" file faster. 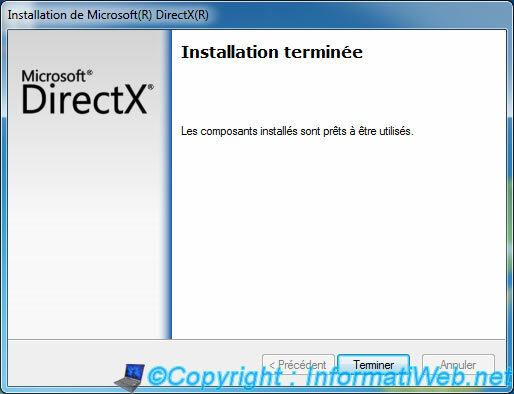 Then run the program to start the actual installation of DirectX 9. Select "I accept the terms of the agreement" and click "Next". Once the installation is complete, try to restart the program in question. The warning has now gone.